This time up on 60 Minute Reviews: The "Fixed deck" card game, Sentinels of the Multiverse, published by Handrlebra Games! I am playing this by on my Nexus 5 phone, and the game works very well translated to the small screen, they obviously have put a lot of effort into making the game playable on any stronger device you want. There is also an iOS version up for your gaming goodness. This is another 60MR that I am using the words "60 Minute" loosely, mainly because one game took an hour, and I wanted to give it a few more before I felt comfortable with reviewing it. That brings me to my only major complaint with the game, it takes a long time for each turn. This can be a huge deal as this game also EATS THE WHOLE BATTERY! You can run into a game where it is not over and your battery dies. That is alright though, because the game saves your data. I love the stories on each character, completely making you think that these comics are all real, each backstory is fantastic, if a little trope-y. The gameplay is easy to learn, and the tutorial is fantastic, but only a little more wordy than is wanted. You tend to catch on quickly though. That being said, I am playing the hell out of this game, and will continue to do so. This is a staple on my phone now, and I will love it, hug it, and hold it forever. In this segment, we play a game for 60 minutes (give or take) and give our first thoughts about the game. This will of course be followed up with the full review later. This game is a port of the 2003 Xbox classic by BioWare, ported to Apple iOS in 2013. 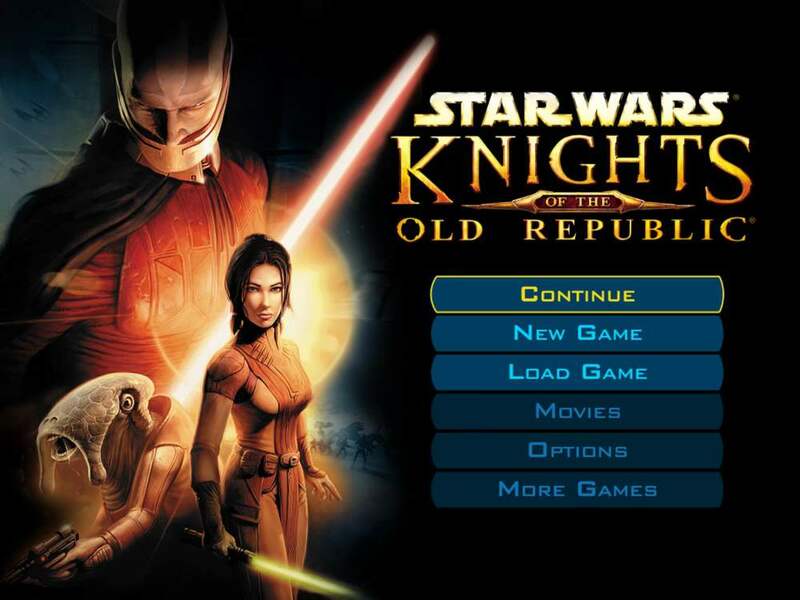 I played the heck out of the game back when it was first released, beating it both as pure Sith and Pure Jedi, if I could have gotten achievements, I would have gotten them all. I'm always a little leery of ports to mobile as they tend to do odd things to emulate the controls of the original. This KOTOR doesn't try that at all. They go for a point/click control system that works AMAZINGLY on the iPad (where I'm playing it) , the graphics translate very well as well, the game looks better than the original version. I'm guessing because there was no pressure and they could focus on fixing the issues that plagued the original, as there are no glaring bugs that I have been able to find. That being said, doors are almost all impenetrable so far, but I didn't find them able to be destroyed until later if I remember correctly. Other than that, it's a fantastic port, even though I am only to the cantina on the first planet, I took time creating my character. This time I'm going straight blaster Jedi, to try something different.